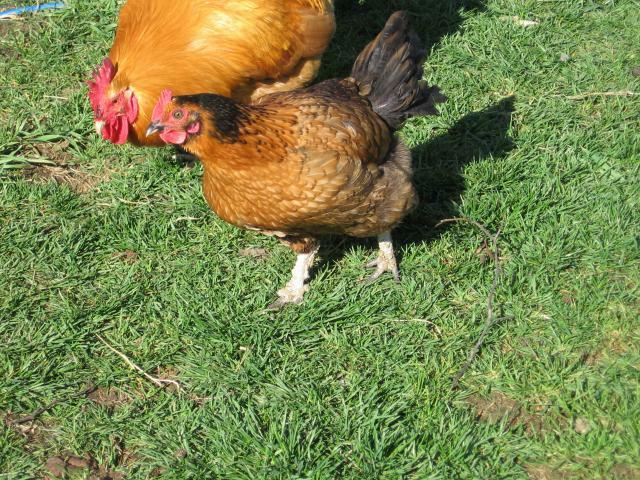 Last year we had 3 different batches of chicks hatch to our 2 banty chickens. We tried to keep them all safe, but we only ended up with 2 babies out of about 30 chicks make it all the way. This winter has been hard for us chicken wise. The coyotes have gotten the 2 banites, and the yellow chick along with many others. I have been watching over them like a hawk and haven't lost any for about 2 months now. Now about Miracle Baby. She was the second one that was left. I kept hoping her mommy was sitting on eggs and would show up any day now but she hasn't. Almost 2 months ago MB was attacked by something, maybe an eagle, maybe coyote we don't know. She lost most of her feathers and skin under her left wing. I kept her in the coop for a week watching her. My mom and gram told me I should put her down, but she was eating and drinking fine and didn't seam to be in pain so I wanted to see if she would make it... Sure enough she has! 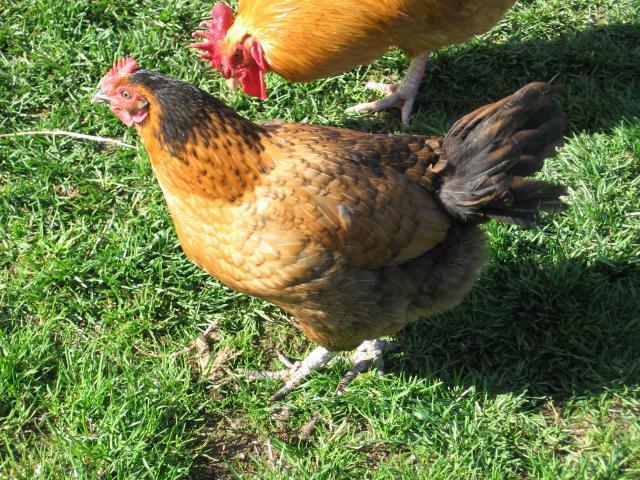 She is now as of this week laying eggs, I have collected 4 of them so far! 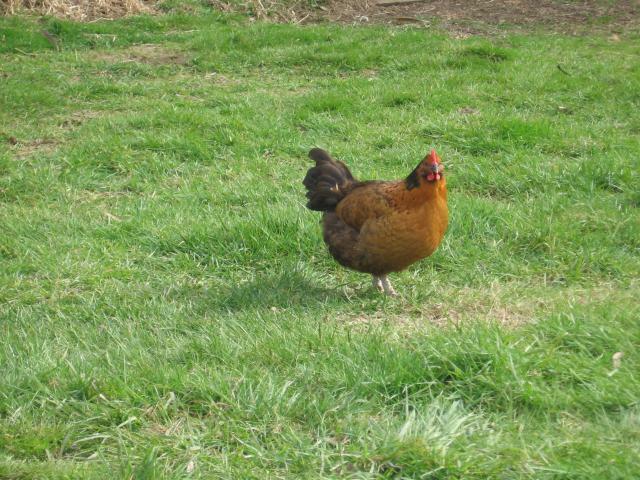 whenever I look at her I am in awe, she is just such a beautiful hen! It was under this wing that she was missing the skin and feathers. Even half her tail feathers were gone. 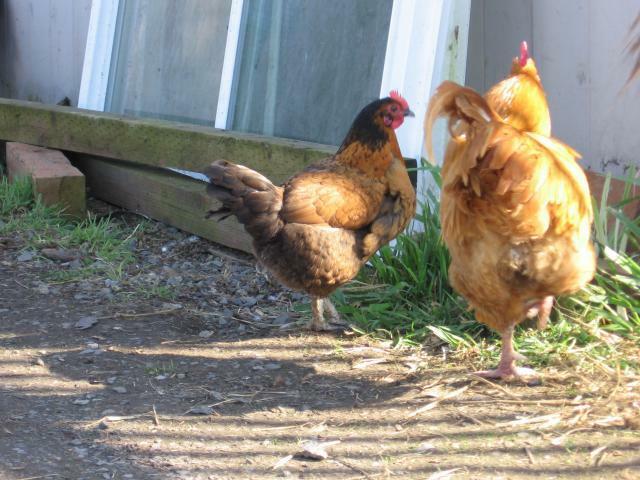 She is never very far from my Buff Orph Rooster. I have a hard time getting single pictures of her. Just such a pretty girl! The only single picture I could get of her.